Headup Games have announced that Bridge Constructor Portal is coming to PlayStation 4, Xbox One and Nintendo Switch. The Xbox One and Nintendo Switch versions will launch on 28th February, with PlayStation 4 following on 1st March. 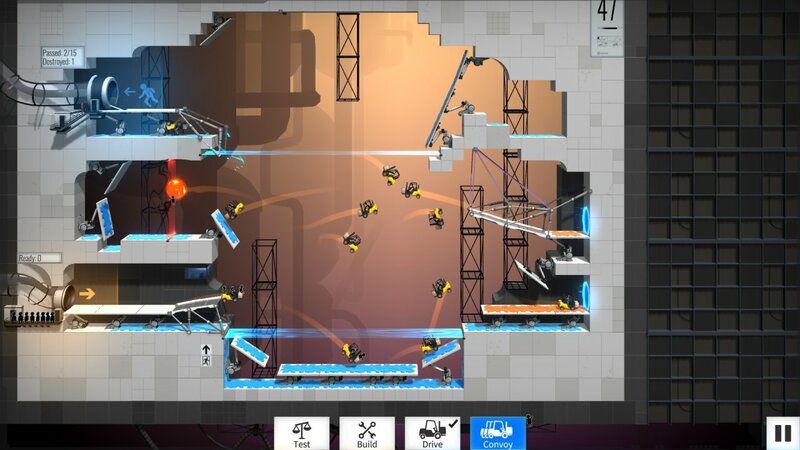 Bridge Constructor Portal made its debut on PC in December. Bridge Constructor Portal (PC) is ranked #934 out of 1435 total reviewed games. It is ranked #90 out of 174 games reviewed in 2017.